Berry writes to thank Hammond for her help and explain that it was wonderful to see her in New York and that she is looking forward to Hammond's visit in the spring. 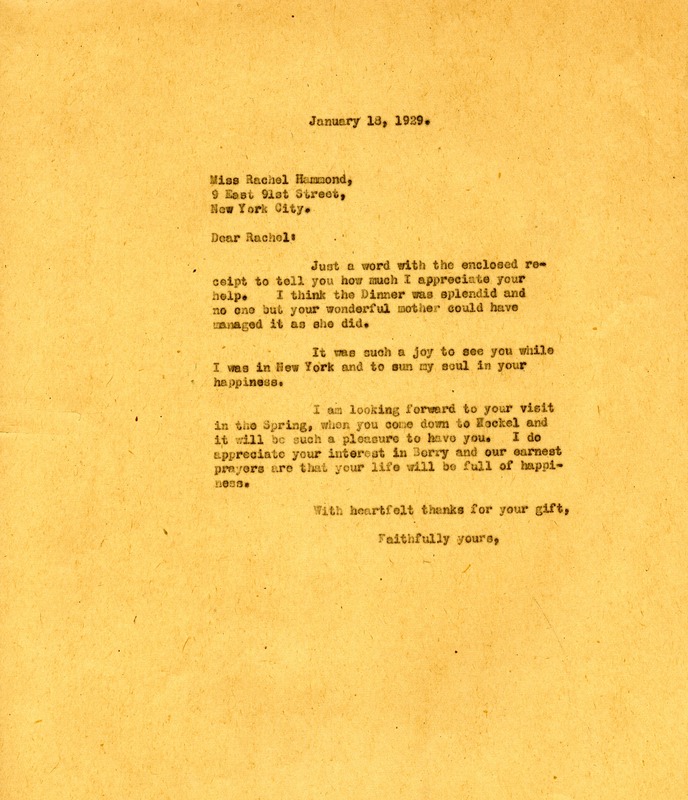 Martha Berry, “Letter to Rachel Hammond from Martha Berry.” Martha Berry Digital Archive. Eds. Schlitz, Stephanie A., Sherre Harrington, Chelsea Risley, Emilee Sargent, et al. Mount Berry: Berry College, 2012. accessed April 21, 2019, https://mbda.berry.edu/items/show/10151.